The U.S. is seeking “a new era” for Zimbabwe, the State Department’s top official for Africa said, implicitly calling on long-time President Robert Mugabe to step aside as a political crisis mounts. 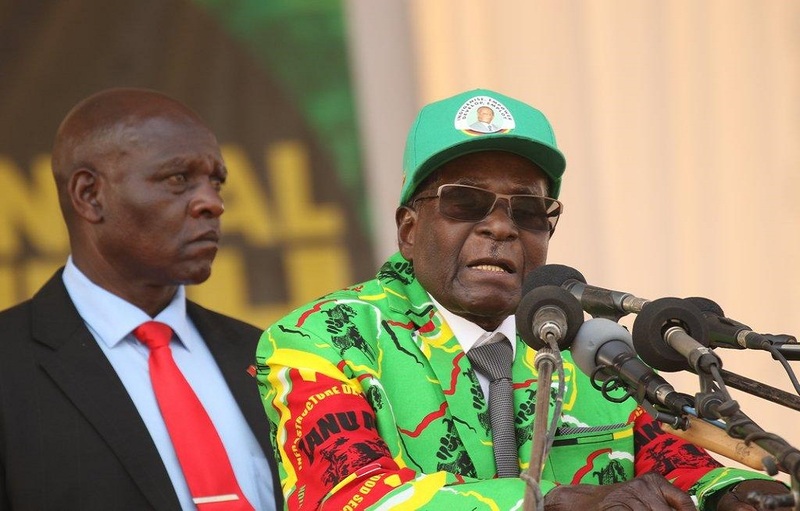 Zimbabwe’s army seized power on Wednesday, in an apparent effort to prevent Mugabe, 93, from handing power to his wife. He has not resigned or been formally deposed, however, and he was pictured on Thursday shaking hands with the military chief, Constantino Chiwenga. He said the U.S. would discuss lifting multiple U.S. sanctions on Zimbabwe if it began enacting political and economic reforms. The U.S. has not given aid to Zimbabwe’s government for many years, but provides development aid to nongovernmental groups, particularly for healthcare.